The Bushnell Scope line utilizes the latest Bushnell technology to deliver a clear, bright image regardless of weather conditions. Ideal for traveling, birders and backpackers and Bushnell spotting scopes offer full-featured performance in an easy to handle, 100% waterproof, fogproof, shockproof package. Elite spotting scopes are Bushnell's finest. Featuring fully multi-coated optics, ED glass, BaK-4 prisms, fully waterproof rugged exterior housing, Bushnell Elite scopes yield a view that never disappoints. Rainguard® lens coatings deliver a great image in any weather. Bushnell Elite scopes are backed by a limited lifetime warranty. Bushnell Legend Ultra HD scopes are a diverse line of spotting scopes. Available in 50-, 60- and 80-mm objective sizes as well as angled or straight configurations, there's a Legend Ultra HD scope for everyone. Legend Ultra HD scopes feature low dispersion ED glass, fully multi-coated optics and BaK-4 prisms for the sharpest brightest image every time. Bushnell Sentry spotting scopes are very compact, featuring 50-mm objective lenses, fully coated optics for great image brightness. 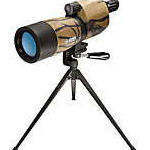 Sentry scopes are rubber armored for durability and come with a compact tripod and carrying case. 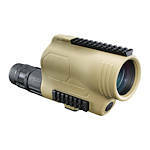 Sentry scopes are available in 12-36x50 and 18-36x50 versions, in black or camo armoring. 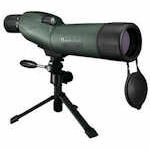 Bushnell Trophy spotting scopes are compact or mid-sized scopes with 50- or 65-mm objective lenses. 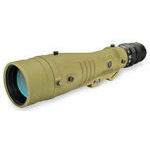 Trophy scopes have multi-coated optics for bright images, and are durable rubber armored, fully waterproof designs. Trophy scopes come with both hard and soft carrying cases included.